Stay in style with this on-trend print! Buffalo checks are the must have prints of the Fall and Winter season–don’t miss out! This pattern is available in red & black, white & black and green & black. A graphic dramatic print, buffalo check defines rustic cabin and woodland designs. The 2.5″ width is great for holiday wreaths as well. 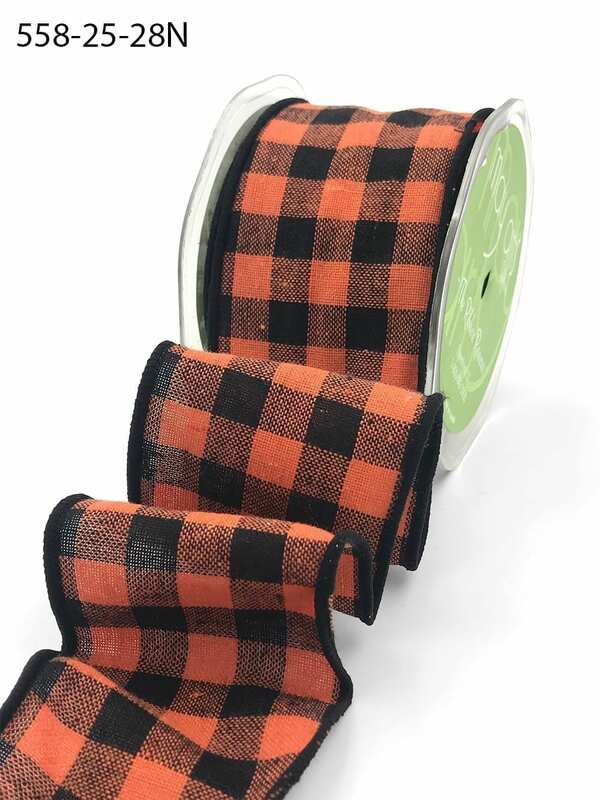 Please note this ribbon is made from a cut fabric. Actual pattern start and end points may vary per roll.